Swelling in the nasal passage is common in people who suffer from rhinitis, sinusitis, upper respiratory infections, colds and flu. When it involves an acute medical condition it could be as a result of the production of mucus in abnormally large amounts. This is an uncomfortable condition for anyone to go through. Understanding the causes enables you to find the most effective treatment for relief. Sinuses are air filled cavities located around the nose, cheeks and eyes. Their role is to filter dust particles from the air you inhale. They have a mucus layer which covers the sinuses to moisten the air. These also serve as a protective cover for lungs against harmful bacteria, viruses and allergens. The inflammation of these sinuses is referred to as sinusitis. This mainly happens due to viral, fungal or bacterial infections. Besides the major pathogenic infections, sinusitis could also be activated by bone injuries around the nose. The nasal membranes often swell up as a defense mechanism against irritants. They release large amounts of mucus hence become inflamed and uncomfortable. When the mucous membranes surrounding the nose become inflamed, this is the onset of rhinitis. This could be an allergic or non-allergic condition characterized by a running nose that is itchy. Often caused by environmental factors, the condition is activated by allergies to dust, pollen, chemical fumes, and other allergy causing substances. For some people, it comes about due to consumption of food items that they are allergic to. This is a rebound nasal congestion caused by excessive nasal decongestant sprays. Although nasal sprays are meant to provide relief from a stuffy nose, their overuse is bound cause a reaction. The sprays, which constrict the blood vessels in the nose lining should not be used frequently because they contain drugs that can cause swelling of the nose. These include; naphazoline, xylometazoline, phenylephrine, and oxymetazoline drugs among others. Severe conditions could result in atrophic sinusitis or permanent turbinate hyperplasia. Often considered the most reliable remedy, it provides a simple and quick solution. All you have to do is boil water and inhale the steam released. Once the water is boiled, you can add a few drops of eucalyptus or tea tree oil. Place your head around its steam then wrap a towel cover round your head and breathe in the steam. The air released serves to decongest the nasal passage thinning the mucous. The aromatherapy oils will act as antibacterial treatment against any bacterial infections. Herbal teas come from natural ingredients that provide healing properties to treat a blocked nose passage. 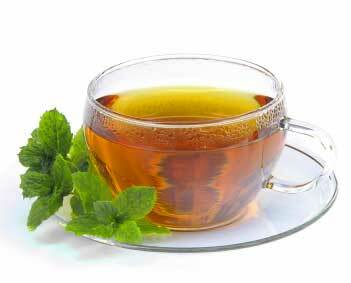 Mint and peppermint tea are some of the herbal teas you can drink for relief. Other herbal teas include wild thyme, which has decongestant properties to remove the swelling. You can also try Ivy herbal tea treatment. 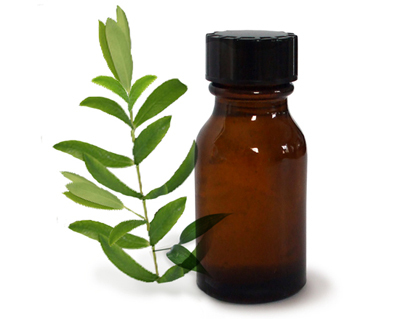 The benefits of tea tree oil include its antibacterial properties. It has elements that fight any virus and bacteria blocking the swollen nasal passages. To prepare the treatment, you need to add 4 drops of tea tree oil to hot boiled water and use the mixture for steaming on a daily basis. Lean over the steam in the morning and evening until the congestion stops. 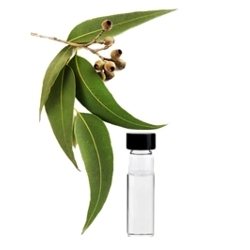 To reduce the nasal swelling, use eucalyptus oil which has properties to open up the mucus membranes. Make a solution for the steam by adding 4 drops of eucalyptus oil in boiling water, lean over the steam and breathe. For effective steaming process, cover your head with a towel to capture enough steam and inhale it. Do this regularly in the morning and evenings for natural relief. 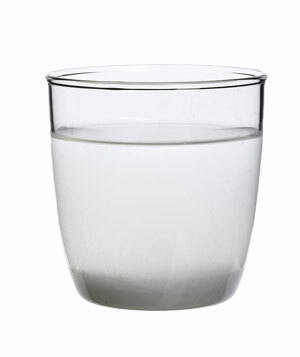 Salt water provides a solution by clearing the nasal passage. Using a neti pot, place a mixture of 1 teaspoon of salt and luke warm water in it. Place a few nose drops in your nostrils and tilt your head to the side. The water will pass to the other nostrils for effective clearing of the mucous membrane. There are also other healing solutions to help you decongest the sinuses. These are self-care solutions or simple solutions that you can do by yourself. 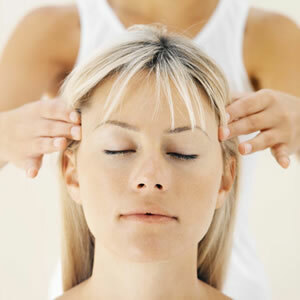 They include yoga, acupressure and shiatsu. Sometimes using nasal irritation may also help to drain the sinuses for quick relief. If your symptoms persist, it is advisable to consult a doctor for further diagnosis and proper treatment. After diagnosing the type of condition you’re suffering from, the doctor could prescribe antibiotics, nasal allergy medication, decongestant sprays or steroids as solutions. In case of a rebound nasal congestion, the doctor may suggest that the patient stops using nasal decongestant sprays or drugs which could be the cause of the condition. In order to avoid getting sinus reactions, always check if you have any allergic reactions like rhinitis. Such respiratory infections will reduce by simply cleaning up your surroundings. Ensure that you remove any allergic substances like dust in your room. It is also advisable that you avoid food items that cause allergies in your body. Consult a doctor in case of severe swellings and reactions.